Genuine OEM Lexmark Toner Cartridge, Yellow 10,000 page yield. 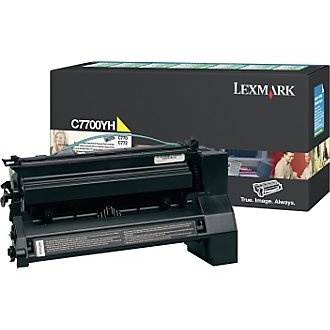 Lexmark part number: C7700YH, C7702YH. Color Laser Toner Cartridge compatible with Lexmark C770, C772, X772.